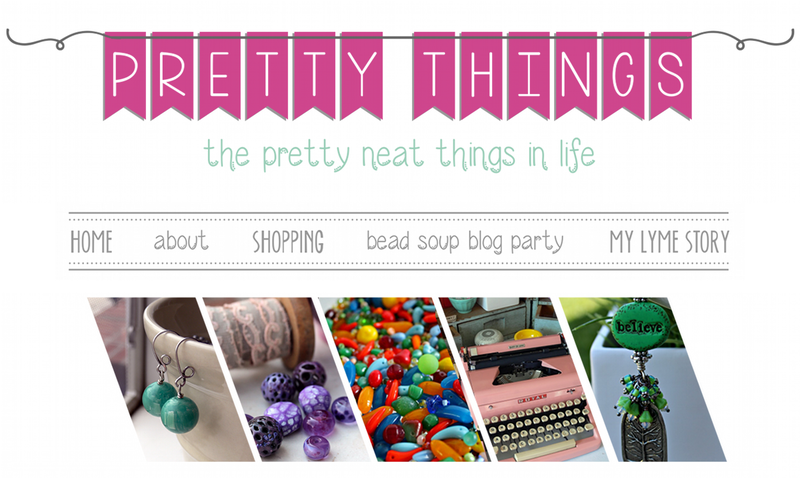 Pretty Things: ArtBeads.com bead review -- Spring Beads! 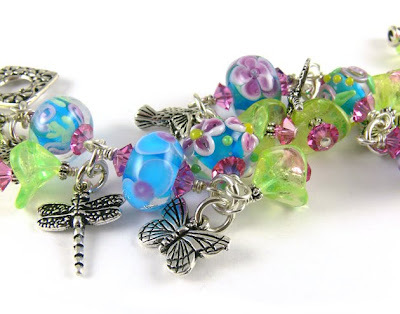 ArtBeads.com bead review -- Spring Beads! 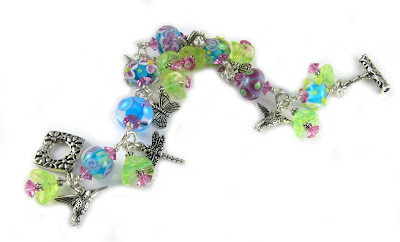 This month's theme from ArtBeads.com is "Summer Time", and I decided to make a fun, flirty bracelet in my favorite cha-cha style. (Click to enlarge the photo). I wired all the lampwork beads together with pink Swarovski crystals and dangled the glass flowers and the pewter charms from rings in between each bead. A design like this is time-consuming, but oh so worth it on the wrist! 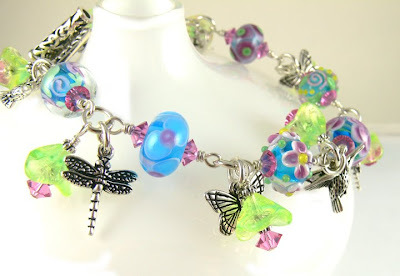 ArtBeads.com has tons of lampwork glass that you can buy to make your own fun summery bracelets, and loads of flower beads and charms to accent them. 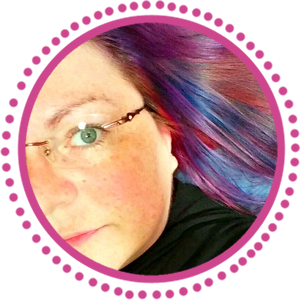 Head on over, and have fun designing! Lori, what a pretty bracelet! Hope all is well and lets Cindy, you and I catch up sometime soon! What a fun summery bracelet. Like the colors and the charms and specially the toggle. Have a great Summer! Lori, is it sold yet? Because I think it would go with a certain necklace I have already! ooh...so bright and happy. I really like your dangly, cha-cha style bracelets. I agree these are time consuming to make, but what nice art piece to keep forever. 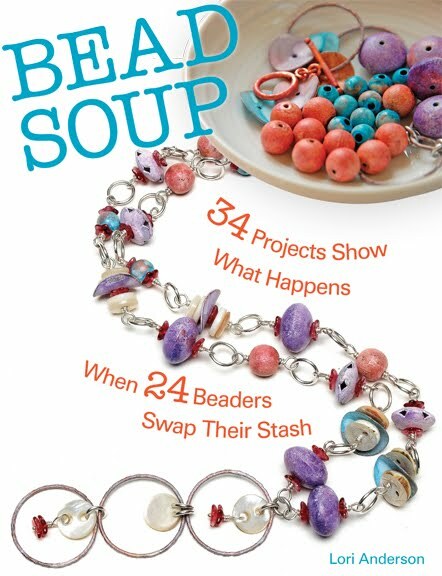 These kinds of things are alot of work, but I love how it gives the impression of being both a charm bracelet and a beaded bracelet! I never realized it before, but...i think i have a cha-cha style in me....i do so love that bracelet. 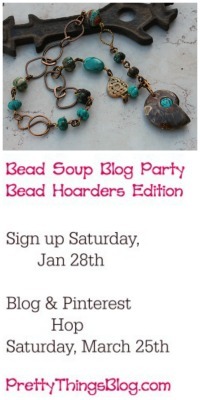 New Etsy Store for Beads!